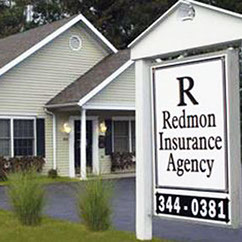 Redmon Insurance Agency is an "independent agency", and not a "captive agency". Many people might not understand the independent agency concept. The following summarizes why we know our independent agency benefits both prospective clients as well as those currently doing business with us. Our approach, based on honesty, integrity and timely service, has always been and continues to be simple, down-to-earth and straight forward. This way the client is assured of both competitive rates and superior service. * Multiple and more competitive options for the client - As an independent agency, we are contracted with multiple insurance companies (vs. only one insurance company, as is the case with "captive agents"). Having multiple insurance companies means more and better options for our clients, while they continue to receive superior service, both from our agency and from the insurance companies with whom we place our clients' coverages. * We represent you, not the insurance company - Captive agents, in the final analysis, owe their duty to the company they represent - they simply service the policies for their insurance company. Consequently, when captive agents retire, pass away, etc. the insurance company the agent represented dictates what happens to the policies and the policyholders, in most cases without inquiring as to what the policyholder desires. This will not happen with our agency because we represent you, the policyholder, not one company to which we would be beholden. * Superior service, both from our agency and from our issuing insurance companies - With our agency, past and current clients have come to know us for honesty, integrity and service. We have no voice mail during office hours. When people call - One of our team members answers the phone. Additionally, we have researched the various insurance companies with whom we are partnered to ensure their superior financial stability and industry-leading reputation for servicing policyholders. * We owe our legal duty to you, the client - Clients can be assured we will be their agent for as long as we earn their trust, confidence and business. Simply, we are here to serve our clients with no production pressures. * Almost unlimited capacity to write business - As an independent agency, we are not limited to only one insurance provider, we have practically unlimited options. 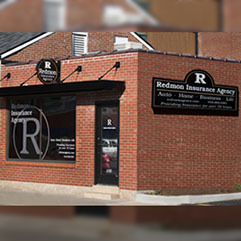 While we continue to offer personal lines insurance (auto, home, life and health insurance), Redmon Insurance Agency has greatly expanded business insurance options for owners of small, medium and large business, including hard-to-place coverages. Please give us a call, stop in or email us. We would appreciate the opportunity to earn your business!